Awesome Photo's! hope you had an awesome New Year! This looks like great fun. 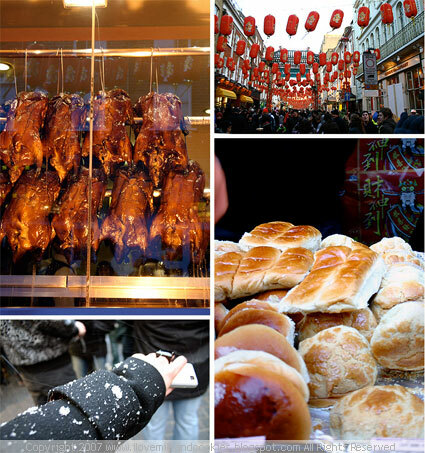 And I would love to eat there on the street - my, it all looks so good! Love the photos. Looks like a good time was had by all (except the clean-up guys). 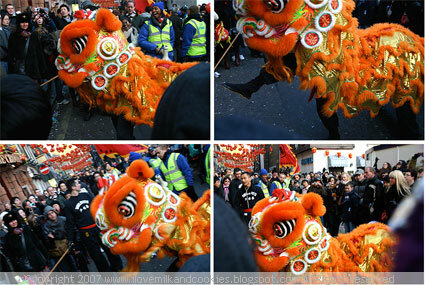 Every year I tell myself I'm going to make it to a Chinese New Year celebration and every year I bail. It's too easy when it's so cold out but you images have me regretting my actions. Sounds like a wonderful day. 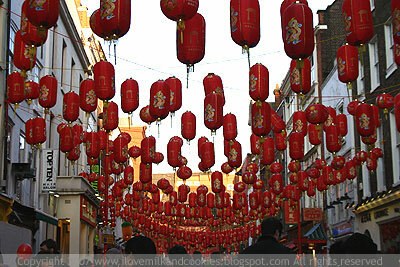 I'm longing to visit chinatown but never got there yet. All the stalls and the atmosphere sound amazing. There seems to be a wide range of merchandise available there (much more than here). Great for photo opps! Hope you had a good time. A wonderful account of a gorgeous celebration. Looks like a grand party! 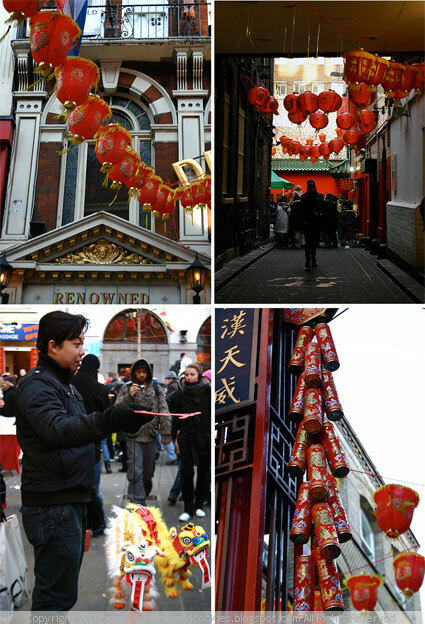 The Chinese New Year celebrations are pretty much alike where ever the Chinese live - London, New York or California - its all the same - fun and festivity in the air plus all the yummy food. Very lovely! Makes me miss home even more! Ciao! !all you make is wonderful!!! Compliments!! mmmmH "I don't speak english, but I follow you!" Hello!!! all you make is meraviglioso!! Wonderful photos. All the red looks stunning. 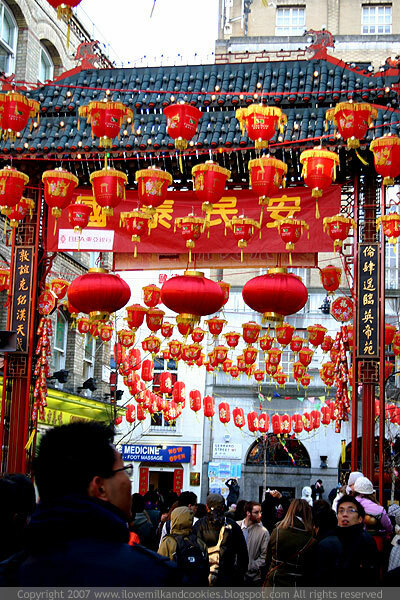 The snapshots looks so inviting..here i have once attended the chinese new year celebration at my friend's house. i like the noodles the most...uphere it is very hard to find chinese food products. my friend introducted me to a great resource www.myethnicworld.com and i thought that i pass great along as well. the pictures you post are sooo beautiful! 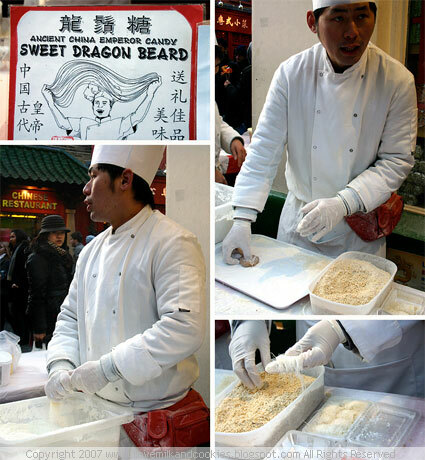 it wasn't CNY but a couple of years ago the Sweet Dragon Beard guy had a woman guarding people from taking photos of him making the product. i think she was worried we were going to steal his secrets! and I would appreciate if you could kindly have a look at my blog too. It's updated on a daily basis. Please add my site as Free Online Recipes into your nice site. Dragon beard cookies is nice! 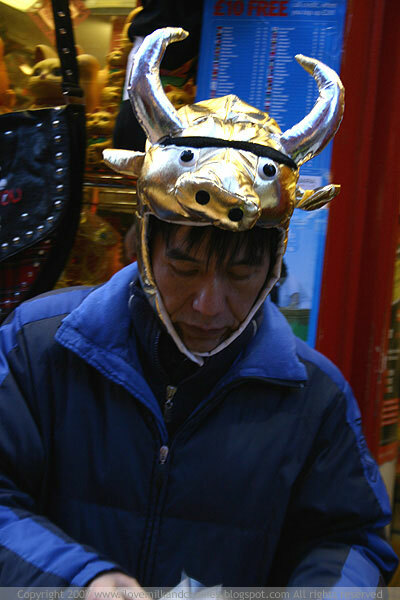 The man with the bull horn kinda funny! hi Jenn! it's been quite a while since ur last entry!. Hope everything is alrite in London! Take care- and sending fond thoughts! I love those photos. I bet it was complete chaos with all of those people. Looks like quite a celebration! 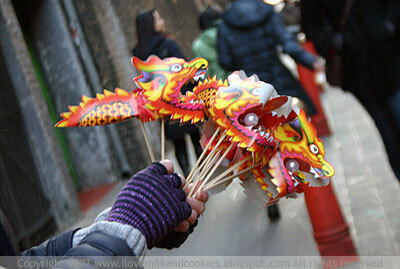 Belated happy Chinese new year. All pictures are very colorful and awesome shot. 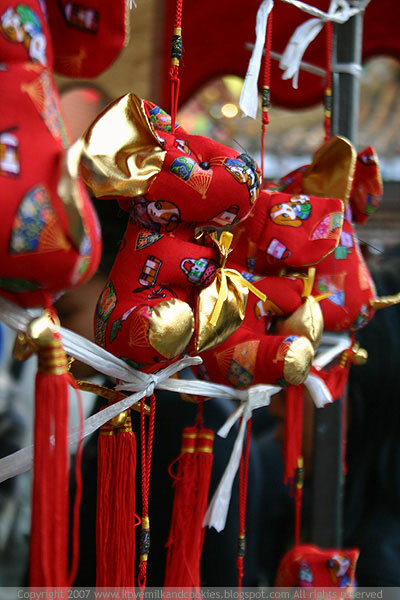 China is really a great country which has touched the heights in just 60 years of independence. hi jen, long time since your last post. I sincerely hope that you're ok and you just have given up blogging! Those were delightful photographs, very fun! Great blog! How could I not read one called "milk and cookies" haha :) Seems like a wonderful celebration. Check out my blog if you wish - love finding new readers and sites! Cheers.